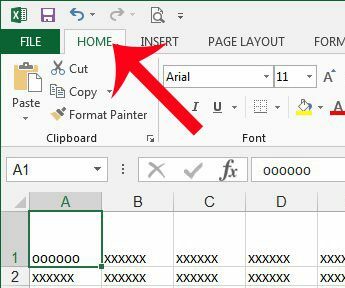 The text inside of a cell in a Microsoft Excel worksheet is aligned to the bottom of the cell by default. 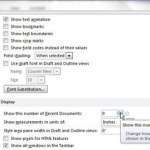 But changes to formatting and row height can force you to make an adjustment. Fortunately Microsoft Excel allows you to specify the vertical alignment of data inside of your worksheet cells. Our step-by-step instructions below will show you how to vertically center the data within a selected cell. 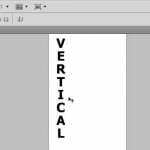 This can be especially effective when you are working with cells that have a large row height, as vertically centered data can often print better, and can be easier to read. 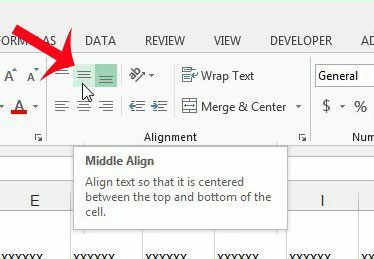 The steps in this tutorial will show you how to vertically align the data in one cell of your spreadsheet. The same method can be applied to multiple cells as well. You can simply select the cells that you want to modify, instead of only selecting an individual cell in step 2 below. 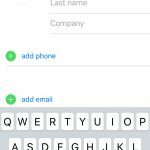 Step 2: Click the cell containing the data that you want to center vertically. As mentioned previously, you can also select multiple cells, if you wish. Step 4: Click the Middle Align button in the Alignment section of the navigational ribbon at the top of the window. Your cell data will now be vertically centered inside of its’ cell. Do you only want to print some of the cells in your worksheet, instead of the entire thing? 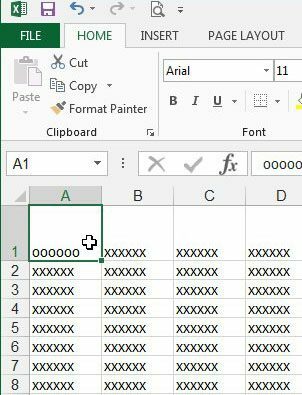 Learn how to print a selection of cells in Microsoft Excel 2013 and reduce the size of your printed document.